Co2 emission line icon. Co2 emission vector line icon isolated on white background. co2 emission line icon for infographic, website or app. scalable icon designed on a grid system. 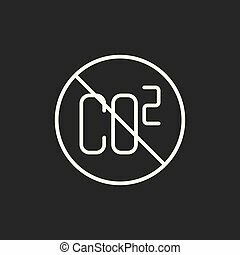 CO2 emission vector line icon isolated on white background. CO2 emission line icon for infographic, website or app. Scalable icon designed on a grid system. Equipment for measuring automobile emission. Flat thin line vector icon. Car service symbol. Elements of web design for business. Control or diagnostics equipment of automobile gas emission. Thin line style vector icon for automobile service. Design symbols for business and website. Mesh vector CO2 gas emission with flat mosaic icon isolated on a white background. Abstract lines, triangles, and points forms CO2 gas emission icons. Polygonal mesh CO2 gas emission and flat icon are isolated on a white background. Abstract black mesh lines, triangles and nodes forms CO2 gas emission icon. CO2 emission line icon for infographic, website or app. Scalable icon designed on a grid system. CO2 emission vector line icon isolated on white background. CO2 emission line icon for infographic, website or app. Blue icon designed on a grid system. CO2 emission vector line icon isolated on white background. Car emitting carbon dioxide line icon for infographic, website or app. Environment pollution and CO2 emission concept. CO2 emission vector line icon isolated on white background. Carbon dioxide cloud line icon for infographic, website or app. Environment pollution and CO2 emission concept. Carbon emission vector line icon isolated on white background. Carbon emission line icon for infographic, website or app. Blue icon designed on a grid system. Carbon emission vector line icon isolated on white background. Carbon emission line icon for infographic, website or app. Scalable icon designed on a grid system.